“Silk and blood” by Qiu Xiaolong (Editions Liana Levi, 2007), translated from the original “Red Mandarin Dress” takes us on the trail of a serial killer who traumatized the city, murdering beautiful creatures and leaving the bodies in the busiest areas in Shanghai, dressed in the traditional red silk dress, the qipao. The qipao, dress of Manchu origin, was weared in the 30’s and nowdays turns fashionable, symbolized the decadent bourgeoisie under Mao. Slit high on the thigh and adjusted, it was very far from the blue Mao jacket which did not show women of the time to their advantage. Inspector Chen, at the beginning of the novel, is on leave to attend a course in literature and prepare an essay on the “femme fatale” in the Chinese love stories. This will enable him to investigate qipao, helped by his memories of the novels of Zhang Ailing (Eileen Chang), a great novelist of the 40s in Shanghai and meeting Professor Shen. Chronology is a bit upset as Shen Congwen died in 1988. Novelist, poet, unfortunately with few translations, Shen is far from what was politically correct at the time. He stopped writing after the Revolution and devoted his time to archeology and became a recognized expert in the history of the Chinese costume. Literature brings Chen Cao on the footsteps of the murderer. Our inspector shares some features with the author: Qiu was born in Shanghai, he and his parents have suffered from the Cultural Revolution. His knowledge of English and his love for poetry, which he shares with Inspector Chen, led him to St. Louis (Missouri) for a dissertation on the poet T. S. Eliot, born in this city. The crackdown on Tiananmen Square in 1989 forced him to stay in the United States. He became an American citizen and a professor of literature; his first novel, “Death of a red heroine” in 2001, is a success, with several awards and considered by The Wall Street Journal as one of the five best political novels of all time! 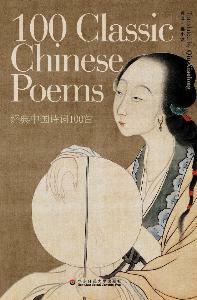 His translations of classical poems for this novel lead him later on to publish a collection of love poems and poems of the Chinese Tang and Song dynasties. Food, gastronomy being a vital occupation (and not not only in China), his novels gets us hungry with the description of the most amazing dishes of cuisines from Shanghai and Guangzhou, and even led the author to write a book on the topic . Inspector Chen has its own characteristics: he is a rising star of Chinese Communist Party, and his talent for finding the necessary support in often politically “sensitive” investigations, enables him to show us, behind the scenes details, of the party,the police and security. His compromises with the profiteers more or less related to the Party are limited by the strong remains of his Confucian education. Quite unexpected are references to psychoanalysis, that China began to discover during recent years. In Qiu’s novel, the Oedipus complex is in the heart of the detective story. 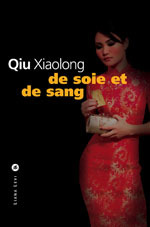 ►Qiu Xialong, Silk and blood, Translated from the U.S. by Fanchita Gonzalez Batlle, ed. Liana Levi, 2007. 368 pages, 19 €.